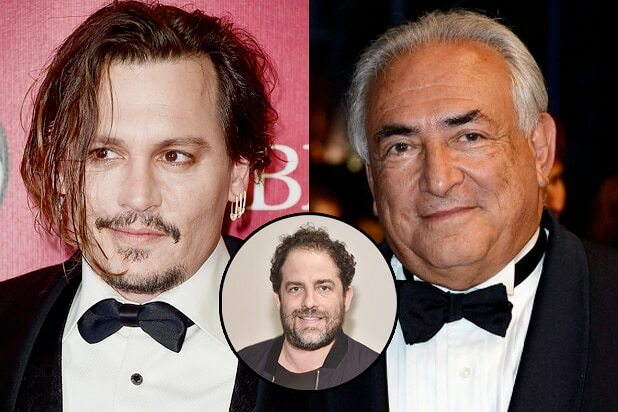 Johnny Depp is set to star in “The Libertine,” a movie inspired by the Dominique Strauss-Kahn scandal, that will be directed by Brett Ratner, TheWrap has learned. Ben Kopit wrote the script, which offers a comedic take on the international incident that saw Strauss-Kahn resign as managing director of the International Monetary Fund following allegations that he assaulted a hotel maid. A criminal case ultimately fell apart, though the economist settled a civil suit out of court. The scandal was previously depicted in Abel Ferrara‘s drama “Welcome to New York,” which saw Gerard Depardieu play a character based on Strauss-Kahn. That film boasts a 71 percent rating on Metacritic, which may be tough to beat for Ratner, whose average career score on the site is 48 percent. “The Libertine,” which will almost surely be retitled seeing as Depp already starred in a 2004 film of the same name, will find the actor playing a powerful French politician who is sentenced to house arrest in his fancy New York apartment as he awaits trial for sexual assault against, you guessed it — a hotel maid. Ratner’s last two films behind the camera — 2014 action movie “Hercules” starring Dwayne “The Rock” Johnson and 2011 comedy “Tower Heist” starring Ben Stiller — were mediocre performers at the box office, grossing $244 million and $152 million worldwide, respectively, on reported production budgets of $100 million and $75 million, not counting marketing costs. Depp is coming off his own share of box office misfires, which include “Mortdecai,” “Transcendence” and “The Lone Ranger.” He next stars in Disney’s big-budget sequel “Alice Through the Looking Glass” and Kevin Smith‘s “Yoga Hosers,” both of which have received largely negative reviews. The film’s producers and representatives for Ratner and Warner Bros. have been repeatedly denying the project’s existence for months. For the record: A previous version of this story reported that Marion Cotillard was attached to co-star. Her representatives deny the producers’ claims that she is involved with the project.